Located in Mahasarakarm Province, Serm-Thai Building had been originally built in 1985. According to the fact that the building appeared to be in a structural unsound condition, and the owner would like to perform partial modification of the building to serve movie theater chamber, IMMS was assigned to provide the comprehensive services. 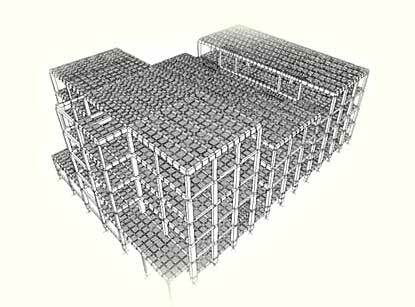 The services included overall visual inspection, non-destructive testing of building materials, short-term monitoring with actual-load testing, as well as structural analysis with computerized model techniques to verify load-carrying capacity of the structure, and designing reinforcing details and specifications for this modified structure.